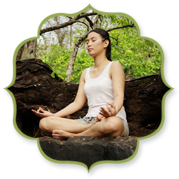 Kairali Ayurvedic Group has been a legally proven product of well-being. Amitabh Kant, Joint Secretary, Ministry of Tourism (Govt. of India) – " I’ve had an extremely relaxed and rejuvenating stay at Kairali-The Ayurvedic Healing Village in Palakkad district of Kerala. 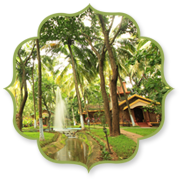 The resort is imaginatively designed, beautifully landscaped and reflects the ethos and ambience of “God’s Own Country.” The Ayurvedic Spa is of a very high quality and the treatment in genuine and authentic. Dr Ramachandran has given me personal care and attention. This is not merely a resort; it is a destination advocating a new way of life. It needs to be marketed as a unique spiritual destination. I wish Kairali and its staff all the best and a bright future." Sharad Pawar (Cabinet Minister for Agriculture) – " Kerala has given a magnificent gift to India and the world and that is Kairali-The Ayurvedic Healing Village. Ayurveda is a great contribution from India to the whole mankind. 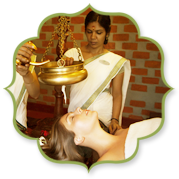 Kairali-The Ayurvedic Healing Village is sincerely working for Ayurveda, which is really helpful for everybody. My stay here was very useful for me, I am confident I will be able to work 18 hours a day happily." Late Pramod Mahajan (former Cabinet Minister for Information Technology) - " Paradise on Earth in the God’s own Country. It is a perfect place for rejuvenation: mentally, physically and spiritually. " Chaggan Bhujbal (Dy. Chief Minister, Maharashtra) - " I really felt the difference of the city life and the life in the Resort which is free from pollution and the area is beautifully cultivated with vegetables and fruits. 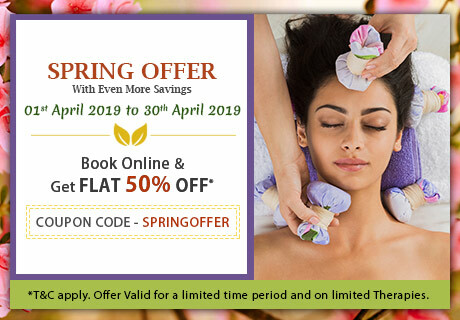 I am sure, Ayurvedic Treatments can do a world of good for those who need timely rejuvenation for us who live in the city which is full of stress and tensions." Mrs. & Mr. Amitabh Bachhan (from London) - " Going back to London feeling relaxed, healthy and well, I will remember our three week stay here with fond memories. We look forward to returning soon in the near future. " Thank you for coming back soon. Thank you for your delicious food & the excellent services. I had a great time here. Very good service. Food have improved a lot more like the old chef you had. Very friendly service. So thank you. Good and great service. Excellent choice of vegetarian food. Always serving with a smile and love. It has been very nice time with very good food. Very good and varied food. Super service. Thank you for the relax atmosphere. Friendly service. Nice place to relax. Always every year you are so friendly. We are very grateful for here hope to see u meet u again. I am an Internal Auditor and have to be in chair for 10 to 12 hours every day due to which I developed pain in the body especially in the back. I consulted Kairali physician and being prescribed Kairkare oil with Karpooradi Tailam for body massage twice a week, I started using the same and feeling perfectly fine now. I am continuing the same from past three months. I was suffering from Mental Stress from the last 1 year due to which I have lost my hair as well. Tried many medicines & oils but no effect. I saw an ad of Kairali in a magazine and consulted their physician who suggested me to take some gulika and to do head massage with their specific oil. 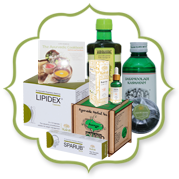 I tried their products as well and got very good result. I was suffering from Obesity. I met one of their Manager at an event and as suggested by him, I consulted Kairali Physician who prescribed me Lipidex Capsule and Varanadi Kashayam to be followed with diet chart. I started taking the medicines and in past 7 weeks, I have lost 5 kilos of weight.